All the popular messaging apps have now moved on to web apps which help improve our life. WhatsApp Web and PushBullet are the best examples of this. Though it can still become cumbersome when a certain smartphone app doesn’t have a web app or you become tired of switching tabs. 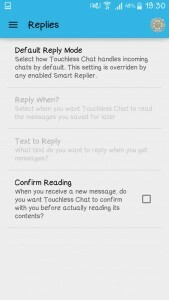 Touchless Chat is an app that truly lives up to its name and purpose. The app has support for all the most popular messaging apps on Android such as WhatsApp, Skype, Hangouts, Viber, Telegram, and, Facebook Messenger. It allows you to send, receive and reply to messages vocally. When busy, this removes the need of touching your phone to reply. The added benefit of not requiring Root makes this app open to anyone and everyone! 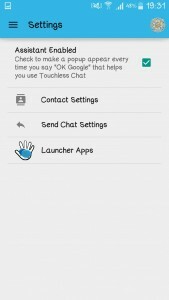 Touchless chat is a convenient app that integrates Google Now and all the popular messaging apps by responding with your voice rather than tediously typing out text. Additionally, the app also reads out replies and you can do much more than these two features, we will touch upon those later in the review. What else makes this app amazing? 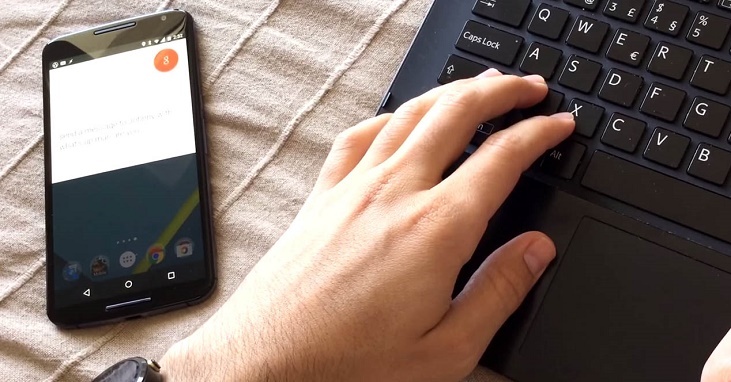 Smart Replies, Android Wear Support and Tasker Support. 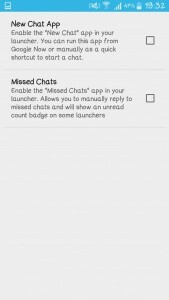 Each functionality can be useful to a power user of messaging apps. 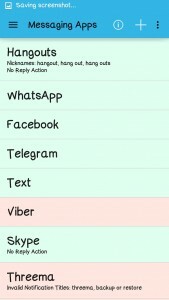 If you are a WhatsApp addict like myself, I am sure you will have as much fun with this app as I did when reviewing it. The app was very helpful in setting it up, I was completely mistaken in the idea that it would be complex to set up. The app had easy to follow instructions when guiding me on services required on my phone to use the app. It held my hand and guided me through the whole process without any difficulty. Let’s get down to the review, shall we? All the features are available right on the get go without a paywall. The only thing that you can buy from the IAP (In-App Purchase) is the option of disabling ads or supporting the developer. I have explored these apps in the past as well on other OS’s, most of those apps weren’t as user-friendly or accommodating. Every option or menu that I navigated to explained each button and functionality clearly and coherently, this is a rarity in apps of this niche. These are the tabs that are present in the app, each having a well-explained interface on how this app can be used. Contact List is just your list of contacts on your phone. You can also assign nicknames to your contacts. However, the sync does not fully function yet which, of course, should be fixed in an update or so. Once the app was working and all the services were enabled, I launched Google Now to test the app. It worked really well; although, selecting contacts who you talk to most and want a message to be read out to you was a bit confusing. The voice recognition with Google Now / Touchless Chat was integrated very nicely otherwise. The fault of this lies in the inability of Google Now properly recognizing complex Eastern names like my own name. My brother would say “Message Rizwan Hello.” Google Now would in turn say “Raise One or Rate Him”. When we changed the name of a contact to a more western name as a test, Google Now performed seamlessly. I should add that the name issue that plagued me can also be remedied by giving a contact a nickname within the app, but again, that nickname has to be something that Google Now catch on the first try. Note: Names have been removed due to the privacy concerns of the individual to whom I sent Telegram messages. The only issue I came across was when I asked the app to connect to a friend on Facebook messenger. I need to manually enter the URL of their Facebook profile in order to send. However, the bright side is that this is a one-time setting and does not need to be entered every time. Smart replies are a very convenient feature to have especially in times where you are at work, you are in your car or if you’re at home. 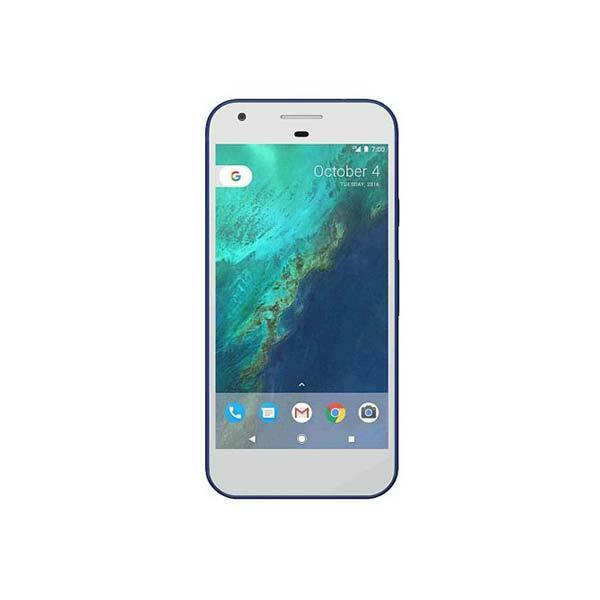 It allows you to customize set features such as connecting to your car’s Bluetooth, your home Wi-Fi or setting a mute feature between specific times when you’re at work, or if you want to mute messages in a certain period of time at home, when you’re asleep or busy. It does this by recognizing networks such as Bluetooth and Wi-Fi. You can custom set features when connected to Home Wi-Fi or when connected to your office’s or school’s Wi-Fi. The screenshot below is something I tested using my home’s Wi-Fi network. The only drawback is you need to manually set it when the network is reachable. You cannot customise the settings for work when you are at home on your Wi-Fi. 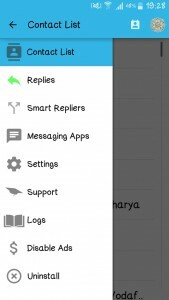 Replies direct you to the reply settings. 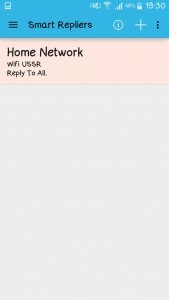 Default reply mode allows you to set a default app to reply with, in case you only use one app to text. Google usually syncs your contacts with multiple apps, even if you seldom use them. Confirm Reading allows you to confirm if the voice AI can read out the text or not. 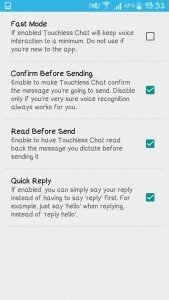 If it is unchecked, it reads out the text message and then asks you if you want to reply. 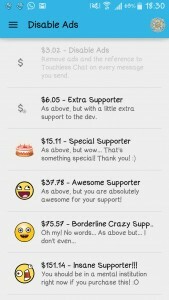 The app also allows one to choose what messaging app you want to have. 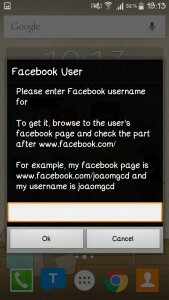 It also allows the user to nickname the apps. So, when they use Google Now to speak, they can say “Send a ‘whatsy’ message to John” where the user nicknamed their WhatsApp to ‘whatsy’. The section also allows users to disable apps and to include names which it shouldn’t be called (invalid notification titles). The app looks at the logs of your contact backup. It backs up your contacts to their central cloud server, in case you use the app again in a new device. This is a pretty handy feature, especially if you grow attached to the app with the passage of time. This screen where I saw uninstall was quite unusual since this was not commonly used in apps. However upon clicking, it did make sense since it requires you to disable the Device Administrator and guides you on how to do so. A user is not expected to know how to enable it, the app has given a convenient option to the user even if their choice is to uninstall the app. Some features didn’t work like assigning a nickname to a contact within the app but would be sheer luck on working. Google Now will recognize common names like Ali, Hassan, and, similar names with ease, but names that aren’t as easy to pronounce like Rizwan, Tayyab, Fayyaz, Faraz, Shamimetc, can be cumbersome. Sadly, this isn’t the dev’s fault, but once the nickname issue is fixed, should be a breeze from there. The uninstall feature is unorthodox, which is why the 1 Star ratings are prevalent on this store’s review page. Most people are used to dragging an icon to the trash, but this requires an extra effort. Though considering how deep it is connected to the phone, I’d say the lengthy uninstall is justified. The app was tested on a Samsung Galaxy Note 4 running Android 5.0.2. The developer was kind enough to give us the ability to explore the ad-free version so that we can give you cleaner screenshots! Huge Kudos to joaomgcd for this. You can try out the app for free by going Here.